Craft beer has always been a hyper-local phenomenon. Breweries begin as experiments between friends or passion projects and grow as local hangouts and community partners. 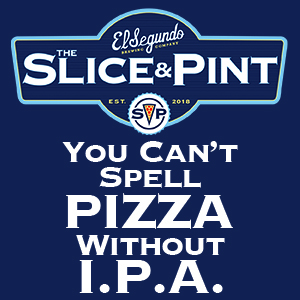 It’s been the same since the first craft breweries began to pop up. Nobody starts a brewery with the expressed goal to sell beer in a grocery store on the other side of a country. However, craft beer has grown at such an exponential rate in the last thirty 20 years that the community brewpubs of 1995 are now regional giants expanding across the United States. In a reverse manifest destiny, West Coast breweries are moving Eastward and establishing footholds in North Carolina and Virginia while expanding their distribution footprint all over the Unites States and abroad. The decision-making process to expand, or shrink, a market is one that is driven by data and showcases the ultimate risk of the beer industry. It requires months of planning, finding and establishing relationships with distributor partners and retailers, and sinking massive amounts of money to establish a firm and sustainable foothold in a new region. As more and more breweries look to expand past their native borders, the challenges and competition for share of mind are only going to make this decision more complicated. Ska Brewing did something bizarre last year when they made the decision to pull out of North Carolina. While breweries expand distribution routinely, a brewery deciding to leave a state is nearly unheard of. Ska had been in North Carolina since 2003, before Pop the Cap (which jumpstarted the NC brewing industry), and their Modus Hoperandi was one of the first readily available canned IPAs. The news of their departure was heartbreaking to many of us who had come into craft beer on Modus and raised a lot of questions about the future for breweries who had expanded into North Carolina. Factoring in the high costs of shipping eating into profits and the clear need to hire an expensive dedicated sales rep for North Carolina, Ska made the painful decision to leave their 2nd market outside of Colorado. “Our sales manager was on a kayak team in Asheville, and we made a special beer for them. We never planned for more than that, but people wanted more”. Dave’s almost wistful when he talks about it. There’s something pure that echoes the beginnings of craft beer, where a viable expansion strategy was sending beer to your friend’s kayak team and going from there. “You can’t just send beer anywhere and hope,” is Dave’s resounding thesis. “If you’re a boutique brewery or low volume that’s one thing, but the original business model isn’t effective.” Dave could easily see ska expanding again and building another production facilities but that takes a massive amount of capital and Dave has made it clear he doesn’t want Ska to be beholden to loans. Besides, with business doing well at home, Dave doesn’t see a reason to leave anytime soon. Deschutes is one of the oldest and largest craft breweries in the United States. 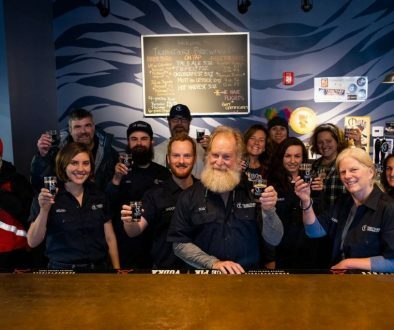 Over the last 29 years they have spread out from the Pacific Northwest and are now in 28 states and 2 Canadian Provinces and are currently constructing a brewery in Roanoke. For North Carolinian beer enthusiasts watching Deschutes fantastic Black Butte porter and Fresh Squeezed IPA appear on shelves across state lines was almost taunting, and many of us were wondering when Deschutes would be expanding into our state. Andy Tysler wasn’t willing to tell me that, but he was more than happy to talk about how Deschutes expands its footprint. Andy is the VP of Sales at Deschutes, and will be giving a talk on brewery expansions in April at the Craft Brewers Conference. Legwork, Andy says, is the key to a smooth and successful expansion. 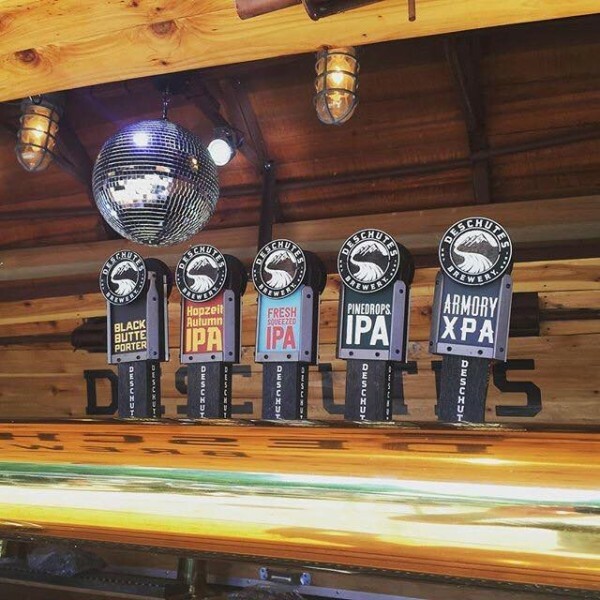 Deschutes spends weeks (or months) meeting with retailers and researching distributors before even beginning talks. Whereas some breweries will launch an entire state at a time, Deschutes is more methodical and will go market by market to ensure supply and not to end up in a bad distributor relationship. After months of meetings and investments in the form of hiring sales reps and promoters, as well as coordinating events and travel for people coming in from out of market, launch day is the first true step towards Deschutes’ ultimate desire of becoming a local brand. Becoming local doesn’t mean building a brewery in every state, but more occupying the same space of mind as a brewery down the street. Deschutes wants to be known and familiar, not just another brewery from out of state. However, this takes a ton of time and money that can be wasted by the slightest misstep. Data is the most powerful tool Deschutes has to avoid any issues and the ultimate ally in mitigating risk. This allows them to not only manage product shipments, but also tailor their approach to each individual market. By working with distributors to track what is selling and how to be more effective Deschutes can spend their resources where they can be most effective, and grasp a sturdy foothold wherever they send beer. Straddling a line between big data and small interactions requires a massive amount of investment, which is a problem for smaller breweries. A smaller brewer may not have in-house data processing or the money required to dedicate a sales rep to each market, or even deal with the heavy costs of trucking beer across the country. The question of if expansion is worth it or not boils down to the goals of each individual brewery. Andy and Dave were both insistent that the only way to be successful in an expansion is to be doing it for the consumer and not yourself, but beer is still a business, and weighing the demand versus the cost to supply is a difficult arithmetic. Data driven expansion is a sound model for expanding any business, and without proper research and continual support any gains are bound to be lost as quickly as they came. These firm foundations are what will keep regional breweries secure should a craft beer bubble decide to burst. 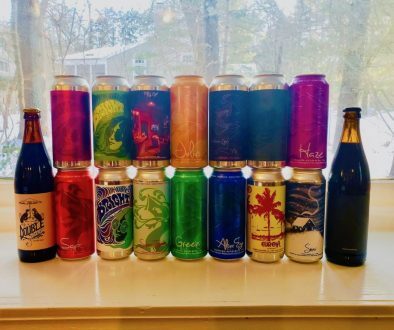 As for those of us in North Carolina patiently waiting for Deschutes to bring beer to North Carolina, we can be sure when they arrive it will be spectacular. Until then, Virginia is just an hour away.